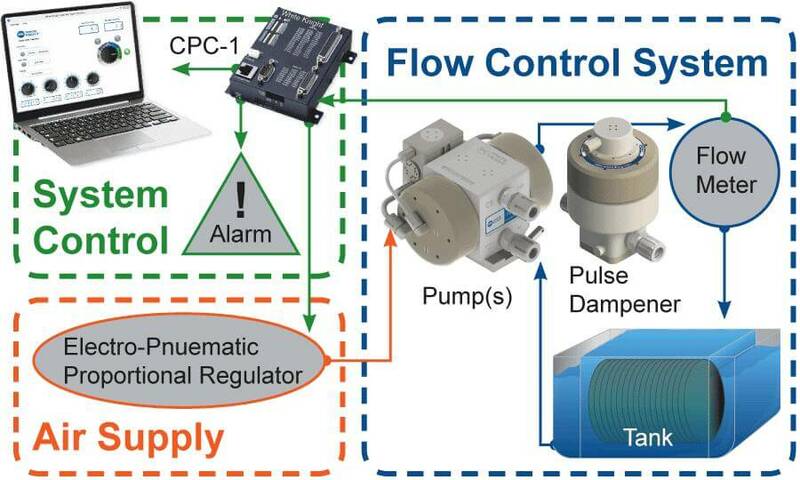 The programmable closed-loop controller (CPC-1) automatically maintains system fluid pressure or flow rate in high-purity chemical processes and delivery systems. 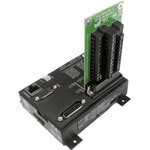 It monitors and controls pneumatic pumps and pump accessories to provide complete closed-loop systems. 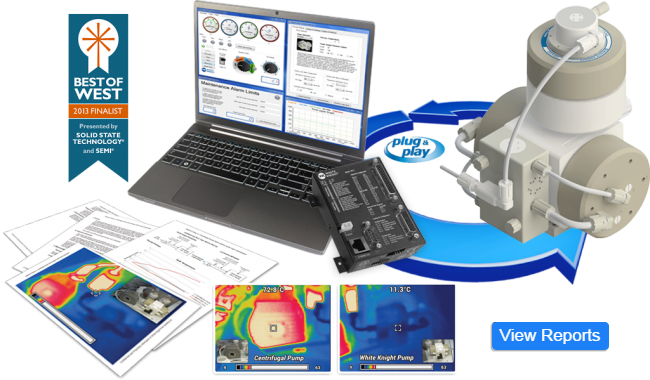 The CPC-1 monitors and controls pneumatic pump systems. 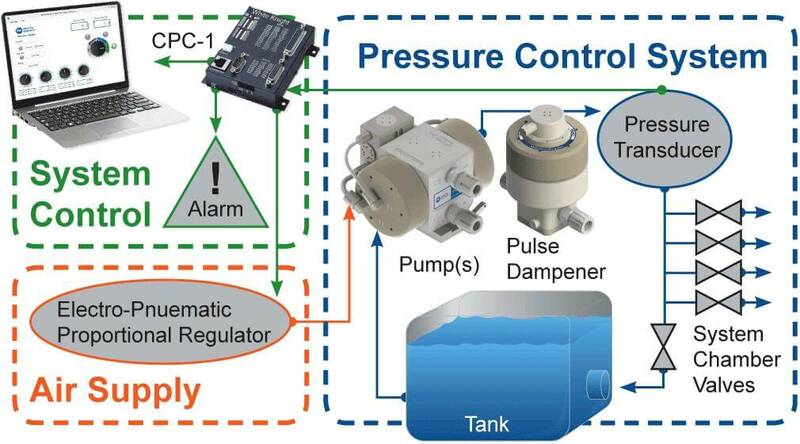 It supports pressure control and flow control operation modes to manage the system using feedback from a pressure transducer (no delay) or a flow meter (two second signal delay), respectively. 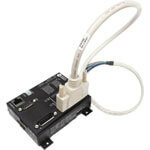 It also supports supply pressure control operation to manage the system without feedback control. The CPC-1 sends an analog signal to an electro-pnuematic proportional regulator. The regulator applies pressure to the pump. The pump pressurizes the fluid line causing flow. Sensors placed in the fluid line send analog signals to the CPC-1 to maintain the process. Simultaneously, the CPC-1 communicates to external alarms, PLC, or Windows-based computer, which allows the CPC-1 to integrate into various tool designs. CPC-1 power consumption 2.5 watts typical with maximum of 4 watts. 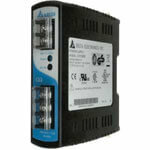 * Analog inputs can be configured to be 0-5 VDC, 0-10 VDC, or 4-20 mA. * 4-20 mA output requires the optional White Knight signal converter.